Softlogic Holdings Plc yesterday reported impressive results for the third quarter with healthy growth all round. Profit before tax rose 60.6% to Rs. 2.4 billion for the nine months while reporting a four-fold increase to Rs. 1.4 billion in the third quarter from a year earlier. Profit after taxation during the nine-month period registered a strong 68% increase to Rs. 1.9 billion while quarterly bottom line reported more than a twofold increase to Rs. 1.2 billion. Cumulative Group EBITDA improved 58.9% to Rs. 9.2 billion while quarterly EBITDA increased 97.4% to Rs. 3.7 billion. Group revenue grew 10.3% to Rs. 49.4 billion during the first nine months of this financial year while the quarterly revenue grew 17.7% to Rs. 18.3 billion. Cumulative Group top line witnessed a contribution of 31.8% from the Retail sector, followed by ICT (26.3%), Healthcare Services (18.2%), Financial Services (16.3%) and Leisure (3.5%). Gross Profit increased 22.5% to Rs. 17.6 billion during the 1-3QFY18, reflecting strong GP margin improvement from 32.1% in 1-3QFY17 to 35.7% in 1-3QFY18. The quarter also registered GP margin improvements from 33.3% in 3QFY17 to 35.3% in 3QFY18, pushing the quarterly gross profit to Rs. 6.5 billion (up 24.9%). The group’s cost conscious measures, coupled with group synergies, helped to overcome cost hurdles in two core sectors – Healthcare and Retail – where a number of capital intensive projects are progressing. Cumulative operating profit improved 67.2% to Rs. 7.2 billion while the quarter registered a 124.3% increase to Rs. 3.1 billion. “With a private placement, rights issue and internal restructuring in the offing, we propose to raise over Rs.7 billion for the purpose of restructuring the balance sheet and improving key capital ratios. 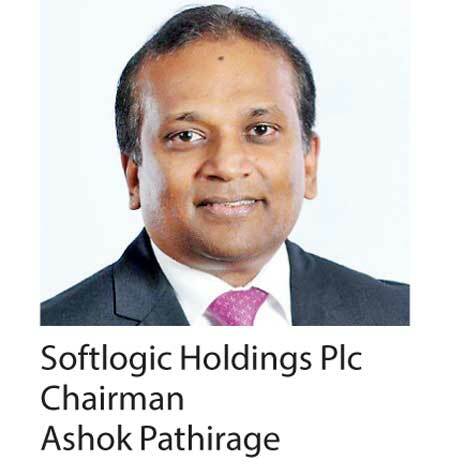 The exercise would no doubt reduce finance cost and significantly impact our credit rating going forward,” Softlogic Holdings Plc Chairman Ashok Pathirage said.